Snaking across the Northwest Territories’ Mackenzie River delta and Tuktoyaktuk coastal plains, the new year-round Inuvik-Tuktoyaktuk Highway (ITH) is, on a per-kilometre basis, one of Canada’s most expensive roads and the final piece linking Canada’s road system coast to coast to coast. The new road is also the impetus for a mini tourism boom for the Inuvialuit living in Tuktoyaktuk (known locally as Tuk), a hamlet of fewer than 1,000 people on the Arctic Ocean and the territory’s largest settlement above the treeline. 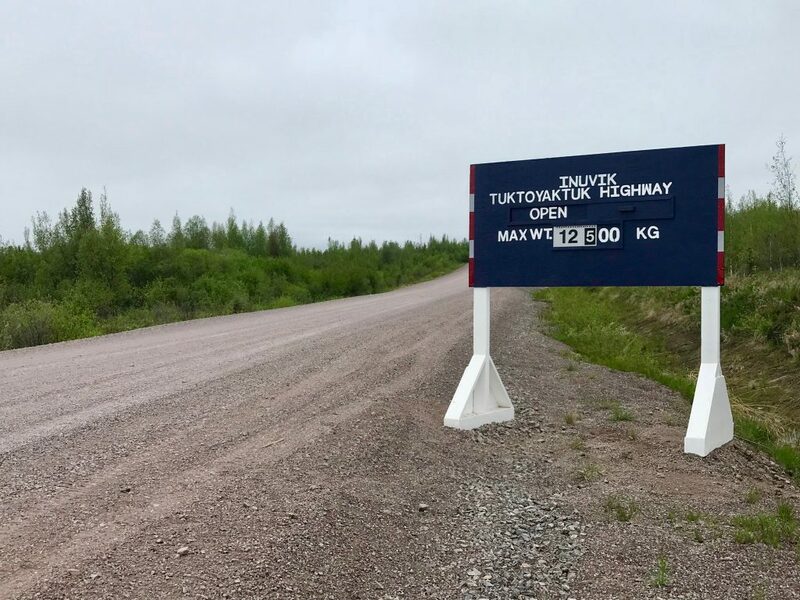 Tuk Economic Development Officer Annie Steen says 10,000 tourists are expected on the 138-kilometre gravel road this year and residents are eager to develop services for travellers (previous annual visitation was 1,200 to 1,500 people). If you’re keen to dip your toes in the Arctic Ocean, here’s what you need to know to drive the highway safely and make the most of your time in Tuk. The fastest way to reach the new highway is to fly to Inuvik (Air North has flights via Victoria, Vancouver, Calgary, Edmonton and Ottawa) and rent a vehicle. 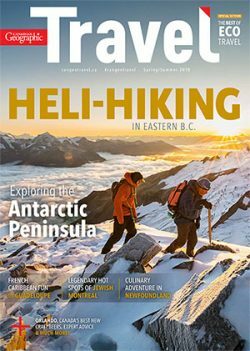 Those wanting a longer road trip can fly to Whitehorse and travel the Dempster Highway (Canada’s first public road across the Arctic Circle) to the ITH. Viewing the ice-capped peaks of Tombstone Territorial Park and the steep banks of the Mackenzie River, and visiting the friendly Gwich’in villages of Fort McPherson and Tsiigehtchic will help you settle into the rhythm of northern life before tackling the North’s newest road. There are no hotels in Tuk yet, only a few small bed and breakfasts, so you may want to drive to Tuk and back in a single day and use Inuvik as your base for Arctic adventure. 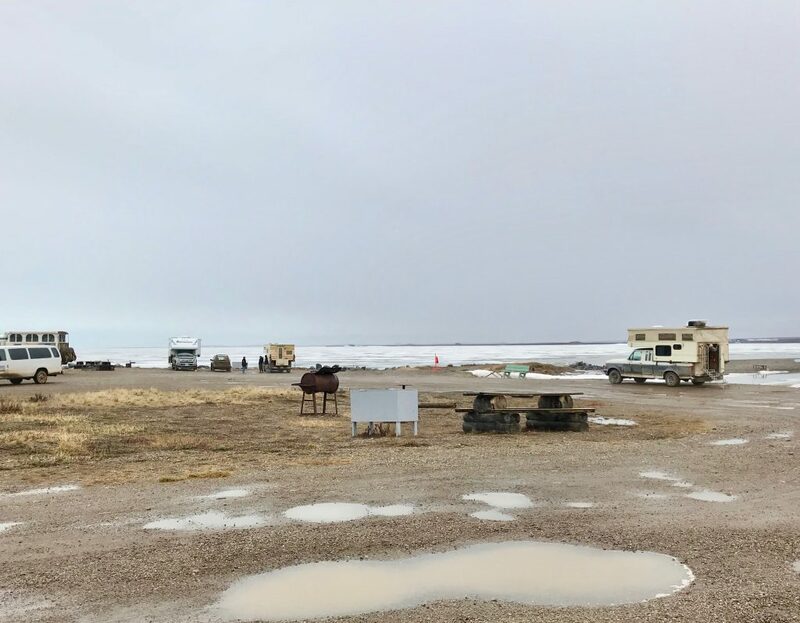 If you are willing to dry camp, people are welcome to park near the beach in Tuk for free, but be advised there are currently no sani-dumps or potable water for visitors. Upon arriving in Inuvik, stop at the Western Arctic Regional Visitor Centre to learn about the western Arctic and check road conditions. The ITH is very slippery when wet so it’s best to avoid driving on rainy days. 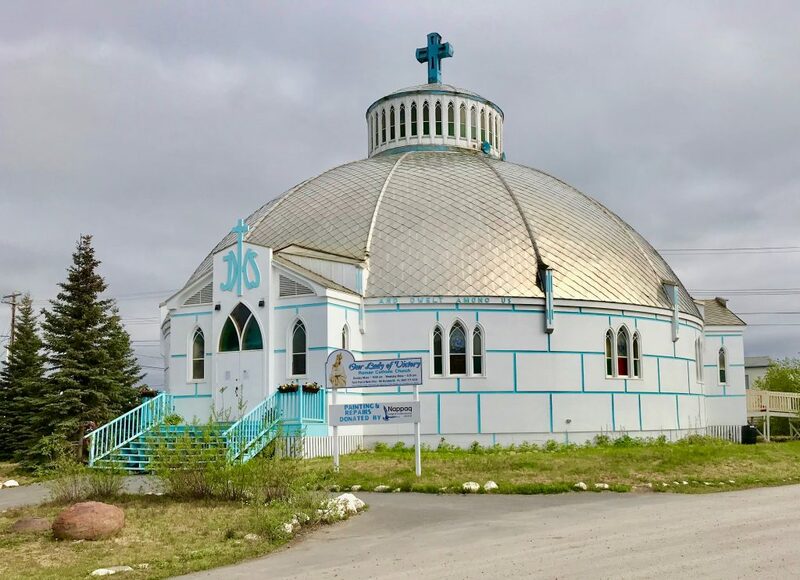 If you need to delay your start to Tuk, drop in to Inuvik’s most popular attraction, Our Lady of Victory Parish — aka the ‘Igloo’ church. Built in 1960 by Brother Maurice Larocque, who could neither write nor create blueprints, the dome structure is a unique example of northern architecture. A nearby community greenhouse also offers summer tours of small garden plots that are helping to ease the pain of sky-high produce prices for residents. On the drive to Tuk there are few formal pullouts, so if you want to stop for pictures or to observe some of the 137 bird species and other wildlife found in the region (and you will), you’ll have to just pull as far as you can to the side of the road. As you travel north, you will see three distinct landscapes: highlands with sparse spruce forest, the lakelands of the Mackenzie River delta, and the Tuk plains, which are dotted with pingos – dome-shaped hills with ice cores created by the freezing and shifting of water in permafrost environments. 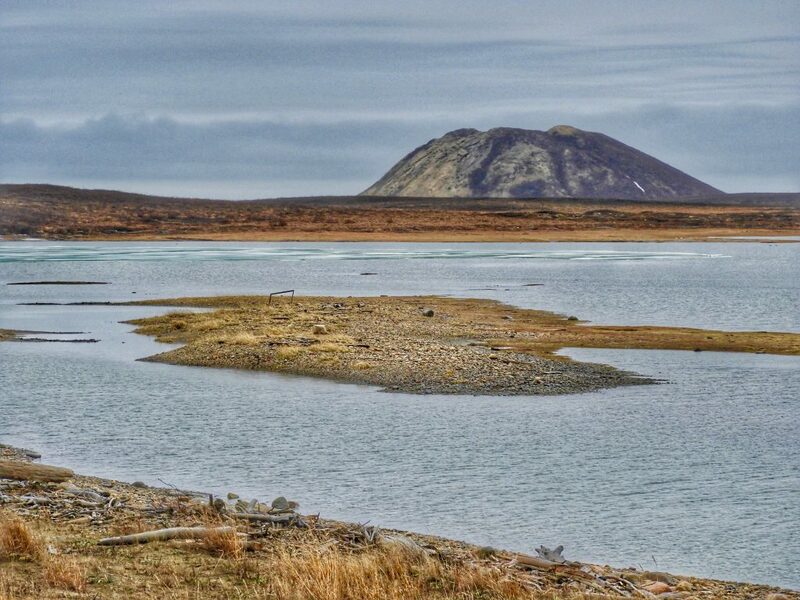 The Tuktoyaktuk Peninsula has approximately one quarter of the world’s pingos; Canada’s tallest pingo, Ibyuk, is visible as you arrive in Tuk and part of Parks Canada’s only Canadian National Landmark. You need a boat to reach the pingo but if you don’t have your own, Tuk tour operators offer trips to the pingo. Three afternoons a week, the community hosts a craft sale called Pingo Market, and on weekdays visitors can stop at the hamlet office for a certificate saying they made the drive and to buy t-shirts or crafts. There is only one restaurant in town and hours can be irregular, so bring food from Inuvik or head to the Northern store. Among the sandwiches and cold pop you may encounter a local curious to know how far you’ve driven. You cannot buy liquor in Tuk but are welcome to bring beer and wine to consume if you’re staying overnight. While out and about in Tuk, you’ll likely spot Our Lady of Lourdes, a retired schooner that once delivered supplies to Catholic Arctic missions and Inuvialuit children to residential schools and now sits outside the Catholic mission. You can also visit a traditional sod house built from driftwood and sod. Make sure you have a four-wheel drive or all-wheel drive vehicle with high clearance (a truck or SUV is best) and that your tires are sturdy enough to withstand rough gravel. Allow at least 2.5 hours to make the trip each way, more if it is wet. It’s a good idea to build extra days into your itinerary so you can postpone your trip from Inuvik by a day or two if the weather turns bad. Check the official NWT website for recent road conditions, and check Environment Canada for forecast details — locals claim it is more accurate than the standard weather app on your phone. There is no cell phone service along the road, so be prepared to wait for help if you break down. Carry a first aid kit and a safety kit including extra food and water, medications, bug spray and bear spray. Tuk has tire repair and automotive services but tow trucks must come from Inuvik. Gas is available in Tuk and Inuvik but start your trip with a full tank. Give way to construction equipment and avoid pulling a trailer, as the road is still soft in places. Above all, respect Inuit culture and local regulations. Mayor Gruben says they have relaxed some of their rules around camping at the point to encourage visitation, but when in doubt, ask. Year-round access will bring rapid changes to Tuktoyaktuk. With a moratorium on offshore drilling, Tuk residents are hoping tourism will provide economic benefits and a better future for the community.